← WE ARE CURRENTLY DELAYED BECAUSE CREWS ARE WORKING ON THE TRACKS. This product is quite interesting and is the first I ever heard of these bandals. The idea of having the sandal be interchangeable for different seasons is very different and something I never seen in other products. I personally thought i wouldn’t buy it because my concern is how reliable is the base of these sandals? Since you can wear them for a long time how reliable is it till the bottom wears off and as I would see this would be something for the older crowd as for the stylish younger crowd this I think this wouldn’t be the favorite. But like I said i haven’t seen this product before, so who knows. I cannot believe i have never heard or even seen this product before in the stores. The idea is really cool and I did some research on them after reading this to learn more about them. Very interesting article that touches on some key aspects to the starting and creation of the product. I also hadn’t heard of this product before. I am interested in knowing what kind of findings the company came about when doing their research on markets overseas since they can be very different than the US market. In addition, the numbers would show a lot of how well he implemented his strategy and the conclusions that he found through the use of focus groups, marketing, and location strategies. It isn’t easy to bring a new product to a country you aren’t familiar with, but it’s even harder to gain some profit from it, and it sounds like the company was able to do both in an effective and efficient manner. I have not heard of this product, but it has great strategy. You mentioned that one of company strategy is moving company overseas. 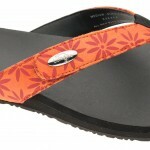 The company products-sandals can focus on more warm weather countries. Also, I really like the design that company have because it can attract customers. 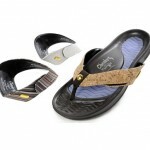 Sandals is common walking tool, and this company care about women needs to have a great design of sandals. After reading this I realized that I had never heard of this product. Is this still around / available in the United States? Seems like a great idea as well as a present. Sesti was obviously an experienced businessman as he knew how to expand internationally seemingly rather easily. This was great forecasting as he realized none of his products would be sold in the winter.